The new technology can achieve as little as 13 milligrams of NOx in standard legally-compliant RDE cycles. European legislation introduced in 2017 dictated that no new passenger car can emit more than 168 milligrams of NOx per kilometre. This limit will be reduced to 120 milligrams by 2020, in a further push to remove polluting diesel vehicles from the road. The drastic reduction of NOx emissions by the tech is so large it is thought they would comply with any future emission limits imposed. Dr Volkmar Denner, CEO of Bosch, stated at the annual meeting: “There’s a future for diesel. Today, we want to put a stop, once and for all, to the debate about the demise of diesel technology. Previously, particulate filters and catalytic convertors needed to be hot to work efficiently. Bosch’s new technology uses a combination of advanced fuel-injection technology, a newly developed air management system, and intelligent temperature management to achieve the low readings. 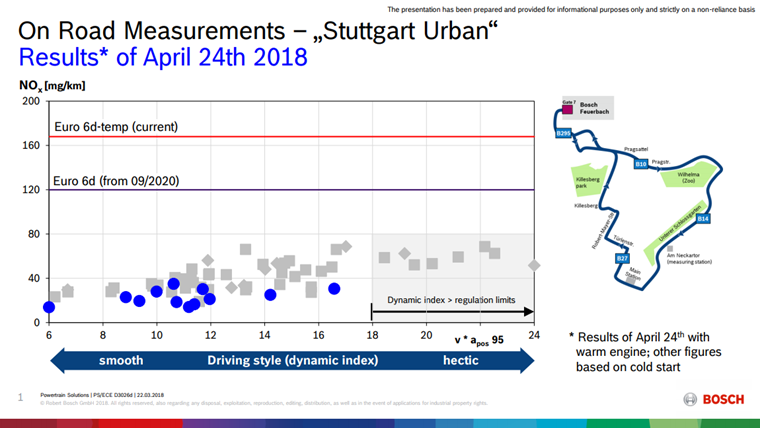 Bosch delivered proof of this innovation to the press, with dozens of journalists driving test vehicles equipped with mobile measuring equipment in heavy city traffic. 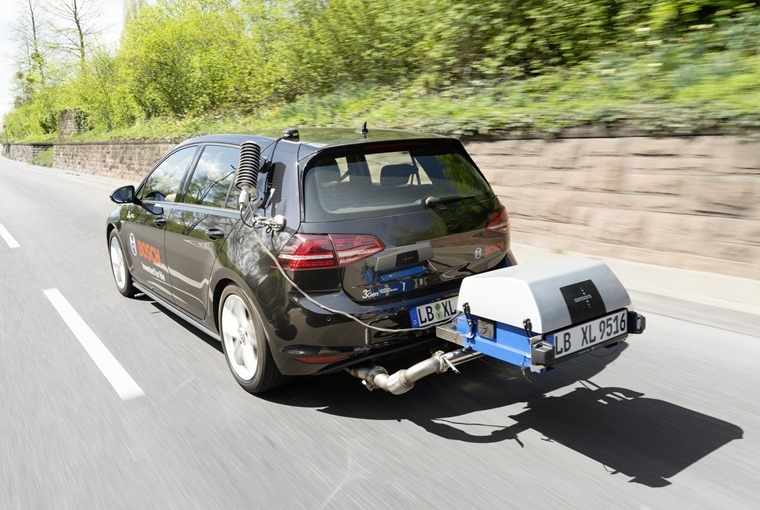 Even when driving in these particularly challenging urban conditions, where test parameters are well in excess of legal requirements, the average emissions of the Bosch test vehicles were as low as 40 milligrams per kilometer. The news comes at a time where the SMMT reported a massive 37.2% fall in diesel sales and various cities have implemented strategies for banning diesel powered vehicles completely. Can the fact Bosch’s new diesel system is based on components that are already available in the market and is available to customers effective immediately put a halt to that? We’ll have to see how the manufacturers respond.